You know what sounds like a good time? Eating great food paired with great craft beers and doing it outside in NYC. In fact, that doesn’t sound like a good time, that sounds like a GREAT time!!! & judged by REV from BURGER CONQUEST! 3. Send me a tweet @BurgerConquest to let me know you got the sweet hook up! Cook Out NYC, the featured event in Mayor Bloombergs 3rd Annual “July Good Beer Month,” will take place on July 10th from 11:30 a.m. – 5 p.m. at historic Colonel’s Row on Governor’s Island. Co-hosted by Sixpoint Craft Ales, Dickson’s Farmstand Meats, Mama O’s Kimchi, The Good Beer Seal, and radio hosts from Heritage Radio Network, Cook Out NYC is the city’s ultimate outdoor cooking and country fair event. 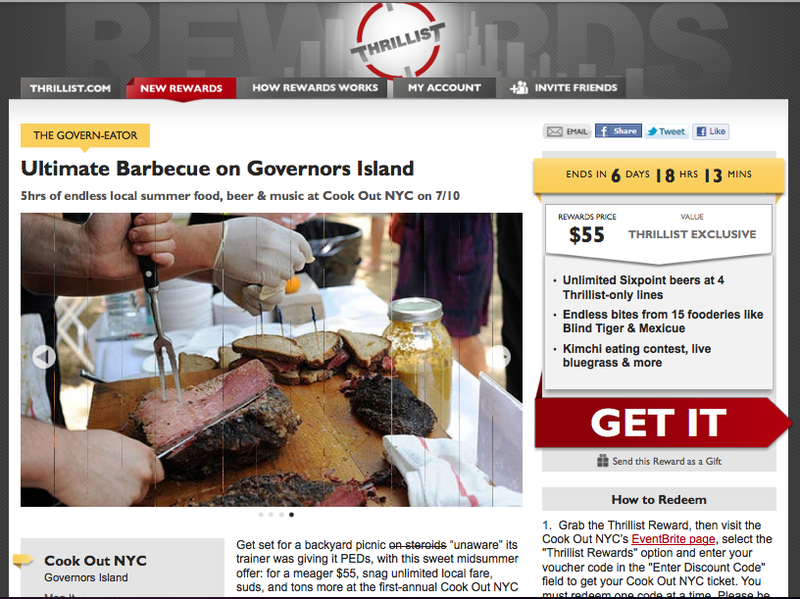 The pinnacle event in Mayor Bloomberg’s 3rd annual “July Good Beer Month.” Cook Out NYC will exclusively showcase the best of NYC breweries, featuring limited edition beers, and nationally renowned and award-winning BBQ chefs. A portion of the proceeds will benefit Just Food’s Farm School. Cook Out NYC is an “all grill” event, featuring meat curated by Dickson’s Farmstand Meats, the East Village Meat Market, Heritage Foods, and Fleisher Meats. Celebrity chefs include King Phojanakong of Kuma Inn, Sam Barbieri of Waterfront Ale House, and other champion BBQ pitmasters. A burger cook-off hosted by Fleisher’s Meat will be going toe-to-toe alongside the city’s first ever Kimchipalooza, hosted by Mama O’s Kimchi and author Cathy Erway. Kimchipalooza features a kimchi eat-off, kimchi cooking contests, and a kimchi taste-off! Community partners include Earth Matters, Teen Battle Chef, Kingsborough Community College Culinary Program, and Brooklyn Food Coalition. Media Partners are Edible Manhattan/Brooklyn, Yankee Brew News, and Heritage Radio Network. Bluegrass music will accompany the all-day event. More details, updates and tickets are available at cookoutnyc.com. July 26 – Good Beer at BAM: Our flagship event in its 3rd year! At BAM Café, produced by Edible Manhattan and Edible Brooklyn. This entry was posted in Beer, Best Burger in New York, Event, Gourmet Burgers, Hamburgers, New York, Thrillist Rewards and tagged burger, burger contest, cheese, ciancio, conquest, cook out, cookout, cookout nyc, Fleisher’s Meats, french, fries, good beer month, governor's island, great, grill, hamburger, new york, ny, nyc, rev, review, six point, summer, the, the rev meter for social community, thrillist, thrillist rewards, vip. Bookmark the permalink.